GP38AC 646 at St. Louis, Missouri on June 26, 1975 on an inbound freight. Note the Gasometers in the background. 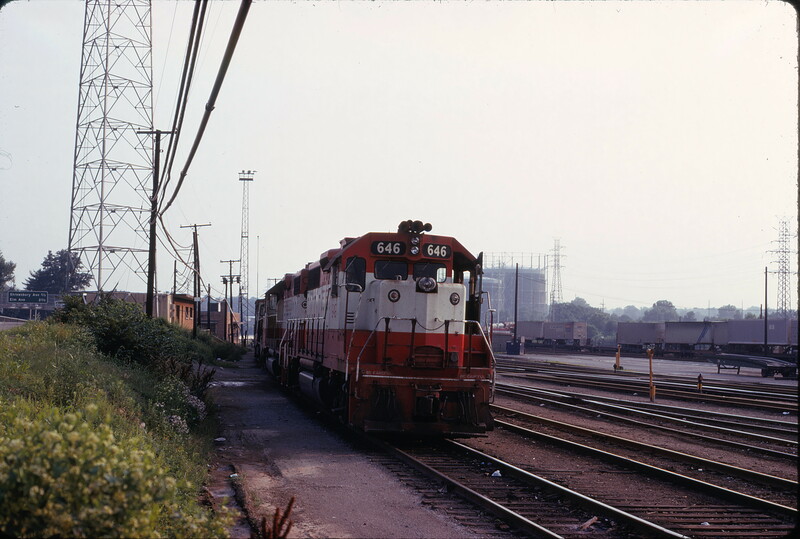 This entry was posted in Slides and tagged 646, Electro-Motive Division, Gasometers, GP38AC. Bookmark the permalink.